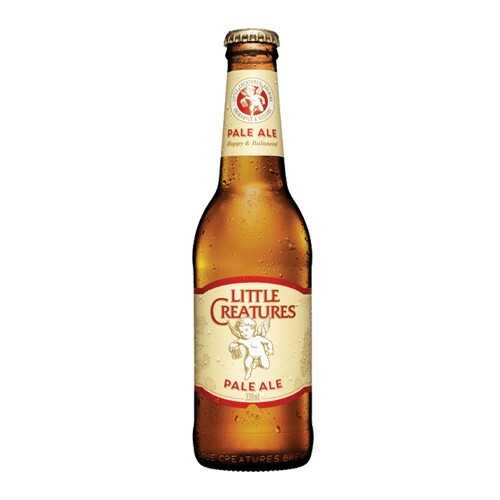 Little Creatures was a brewery born to make Pale Ale, a style that had very quiet voice in Australia when we started but one that we were sure would soon touch the hearts of Australian beer enthusiasts. When Little Creatures was merely a twinkle in our eyes there were two hop varieties coming out of the North West of the US that really took our fancy; Cascade and Chinook hops. These hops packed an addictive punch and gave rise to the super hoppy American Pale Ale, a style that inspired us way back when and continues to inspire us as certified hopheads today! We love our Pale Ale and throw bag loads of whole hop flowers that we source direct from hop growers in Victoria, Tassie and the US throughout the brewing process. These hops provide the intense citrus and stone fruit characters that we carefully balanced with select speciality malts and a local pale malt made to our own specifications. A beer that's ultimately refreshing with a distinct bitterness leaving the palate craving for more. Preservative and additive free our Pale Ale is live-yeast conditioned for unmatched freshness and character and takes about six weeks from brewing to being released. Pour it into a glass to enjoy it at its best!